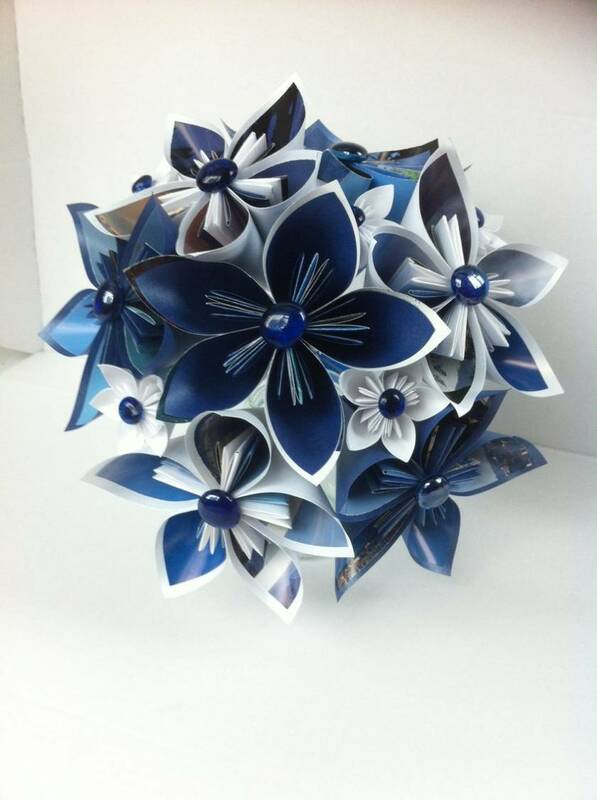 Paperpetals Wedding bouquet, custom-made from new and recycled paper, in your wedding colours. Paperpetals bouquets are ideal if you have pollen allergies, and are an everlasting keepsake of your special day. They can be organised well in advance so you have less hassle closer to the day. 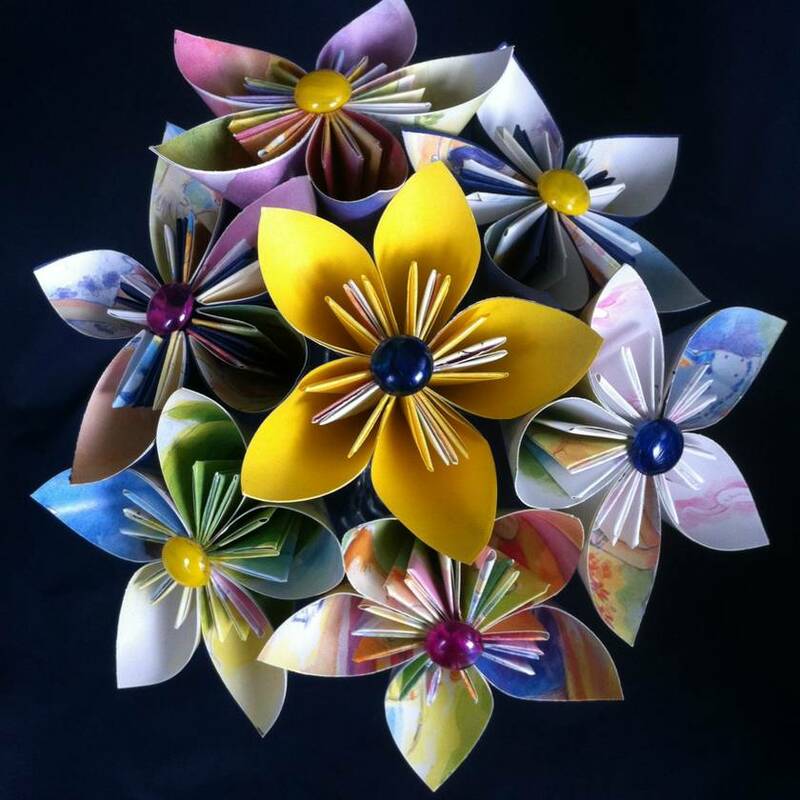 I specialise in using recycled books such as maps, music manuscripts & children's books. Match this bouquet with others to make your complete wedding set. Please message me with your colour preference. 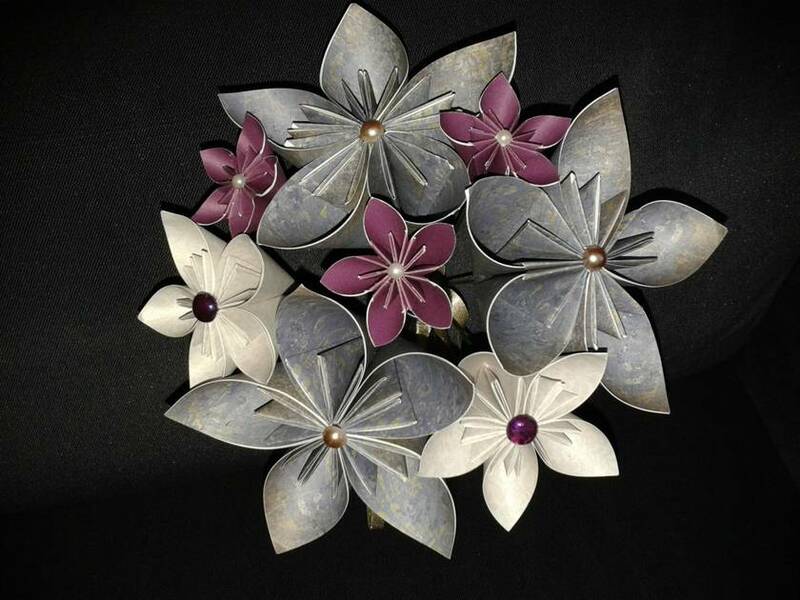 My Facebook page is https://www.facebook.com/Paper-petals-715024712010093/ if you would like to see more. 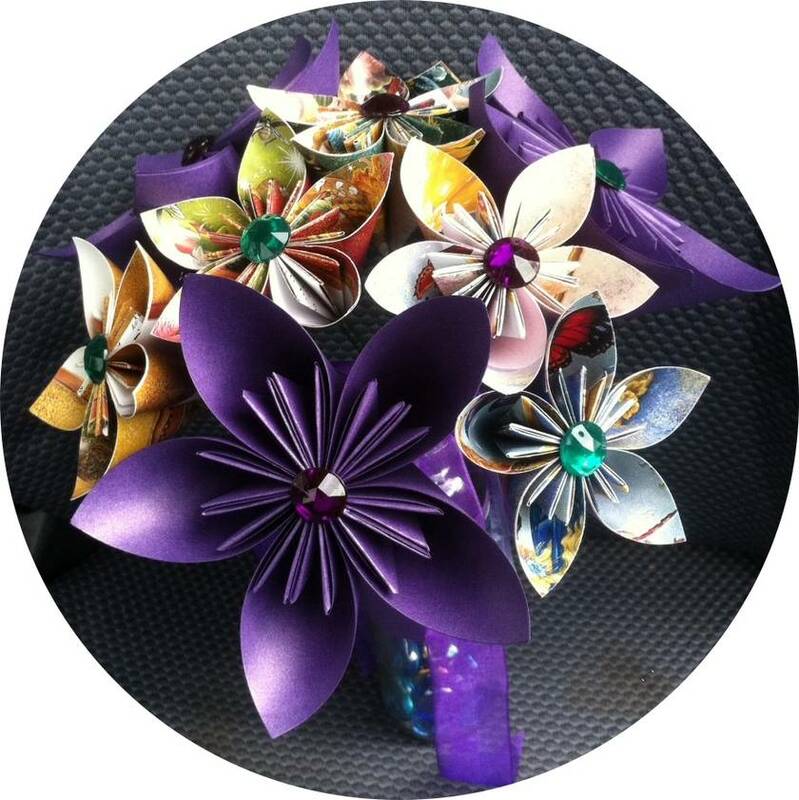 Contact paperpetals to enquire about payment or shipping options.